252 pages | 6 B/W Illus. New Perspectives on the Nation of Islam contributes to the ongoing dialogue about the nature and influence of the Nation of Islam (NOI), bringing fresh insights to areas that have previously been overlooked in the scholarship of Elijah Muhammad’s NOI, the Imam W.D. Mohammed community and Louis Farrakhan’s Resurrected NOI. Bringing together contributions that explore the formation, practices, and influence of the NOI, this volume problematizes the history of the movement, its theology, and relationships with other religious movements. Contributors offer a range of diverse perspectives, making connections between the ideology of the NOI and gender, dietary restrictions and foodways, the internationalization of the movement, and the civil rights movement. 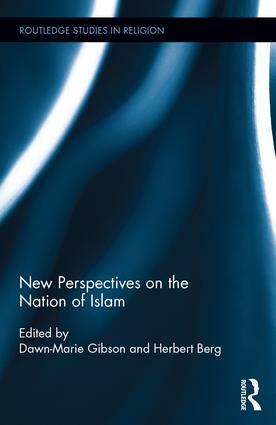 This book provides a state-of-the-art overview of current scholarship on the Nation of Islam, and will be relevant to scholars of American religion and history, Islamic studies, and African American Studies. Dawn-Marie Gibson is Senior Lecturer in the Department of History at Royal Holloway, University of London, UK. Herbert Berg is Professor of Religion in the Department of Philosophy and Religion and the Director of International Studies at the University of North Carolina Wilmington, USA.